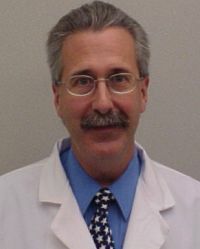 Dr. Neuman did his undergraduate work at Cornell University and then went to the University of Pennsylvania School of Veterinary Medicine. After graduating with highest honors, he did a rotating medical and surgical internship at the Ontario Veterinary College. Dr. Neuman is Board Certified in Canine and Feline Practice and is proud to be the founder and director of St. Charles Animal Hospital. "My goal is to have the finest hospital in the area. I am continually upgrading our equipment so that we can have the best diagnostic facility, the safest anesthetic equipment, and the most advanced surgical equipment that can be found anywhere. Equally important to me is that we have a friendly, well trained staff to make your visit to our hospital a pleasant experience. I have been here for 40 years and the best part of my day is coming to work and taking care of your pets!" Dr. Siskovich graduated from the Royal Veterinary College in London in 1999 and joined St. Charles Animal Hospital in February of 2002 after working in Annapolis. Dr. Siskovich's interests are small animal medicine and surgery. Outside of work, Dr. Siskovich enjoys spending time with her family and friends, her four year old Labrador (Jade), horseback riding, and working out at a gym. Dr. Davis always knew she wanted to be a veterinarian. This dream was realized when she graduated from the College of Veterinary Medicine at Michigan State University in 2007. She is passionate about helping her patients and dedicated to offering high quality medicine to her clients. 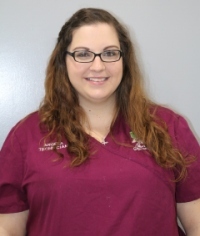 Dr. Davis joined St. Charles Animal Hospital in Spring of 2014. 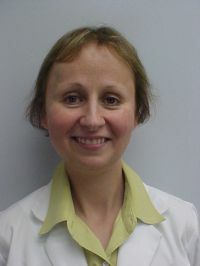 Her professional interests include soft tissue surgery, dentistry, and nutrition. In her personal time she enjoys ceramics, fiber arts, and refinishing furniture. Dr. Davis shares a home with Adam, their beloved dogs Clyde and Fiona, and their new addition Penny the awesome angora rabbit. Hi! My name is Debbie. I am the Hospital Manager at St Charles Animal Hospital. I am mom to 3 Pomeranian's, 1 Chihuahua and 1 Kitty. I have been here at St Charles Animal Hospital for 10 years, and I can say, without a doubt, we do treat your pet's like family. We look forward to meeting you and your fur-babies. We strive to make you and your pet's visit a pleasant one. Please stop by, have a cup of coffee or tea and meet us! I promise you won't be disappointed! My name is Angela, I have a bachelors degree in Marine science and biology. I have been working in the veterinary field since January of 2011. In this time I have worked many positions in a veterinary hospital. I started out working client service and quickly became trained as a technician and shortly after that I was trained as a surgical technician. I have 2 fur babies of my own, Tiger who was a rescued feral cat that I have had since he was estimated at 5 weeks old, and DaVinci my black lab. I am so grateful for the opportunities I have received while working at SCAH. I look forward to working with our doctors and picking their brains every day for more knowledge to fill my own and to continue to progress and perfect my skills as a technician. I have always thought that there is something very challenging about taking care of patients that cannot verbally express hurt or distress, but that is why I love my job and it is something I take pride in. Everyday as a technician is challenging and rewarding at the same time, and I would not change it for the world! Yes, I wear two "hats"! I used to be the Head Receptionist, but in 2015 Dr. Neuman promoted me to Hospital Manager. As Hospital Manager, I am responsible for all the workings of the hospital. 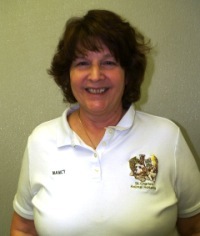 Nancy has worked for St. Charles Animal Hospital for 15 years. She started out as a client and has always been impressed with the quality of doctors and staff. I love our patients and clients. We truly put the animals first and treat them as if they are our own. 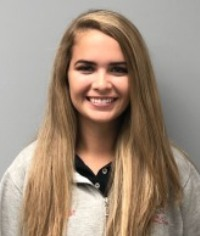 Clara started working at St. Charles July of 2017. Her love for animals has been life-long. Her passions include spending time competing and training with her Miniature Australian Shepherd “Dixie” as well as riding and showing her Paint Mare “Dreamer”. She started horseback riding at the young age of 9 and showing dogs at the age of 6. 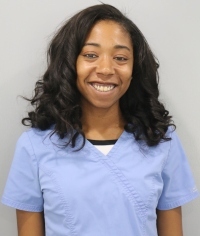 Veterinary medicine has always interested Clara and she is just blessed to be working in the best hospital in the area. I am honored and happy to be a technician and the Training Coordinator at St. Charles Animal Hospital. I grew up having a passion for animals and could not imagine my life without them. I have been a vet tech for over 12 years. In September, 2005, I became a part of the St. Charles Animal Hospital family and have enjoyed every minute of it. The doctors here have helped me gain so much knowledge, and I am continuing to learn every day. I am here to give your pet love, attention, and the care that it needs and deserves. I am also here to give you, the owner, the knowledge you need to give your pet the best care possible. Please let me know if I can do anything to help you! 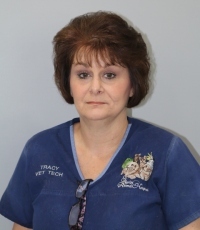 Tracy has been with St Charles Animal Hospital for thirteen years now. 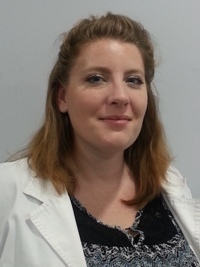 She is very passionate about helping and doing what is best for her patients. She likes to provide her clients with appropriate knowledge and the time they deserve. She is always here to address any questions or concerns that her clients may have. 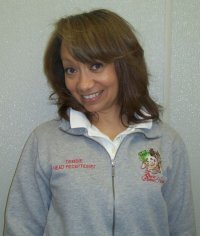 Tracy always provides the clients she sees with the utmost care and understanding. Tracy understands the love her clients have for their fur babies because she has two dogs of her own and always has a house full of animals. My vet career started in 1997 as a kennel assistant. I attended Harcum College in Pennsylvania from 1998-2001 where I graduated with an Associates Degree in Science. 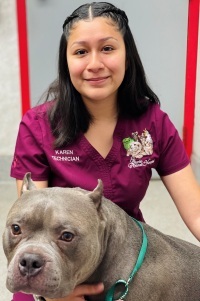 I completed an internship at the University of Pennsylvania Small Animal Hospital in Philadelphia, as well as a large animal at the New Bolton Center in Kennett Square, PA. After graduation, I went to work for a surgical practice and prepared for my national boards exam (VTNE). In 2001, I became a Registered Veterinary Technician. After 20 years in the profession my passion continues to grow. I have had the privilege of caring for many pets from young and healthy, to critically ill, to geriatric. I am always learning something new. I especially love to educate clients on having new puppies/kittens, nutrition, and behavior. My furry family consists of a 5 year old Pit Bull named Abby, and a 13 year old cat named Barnaby. 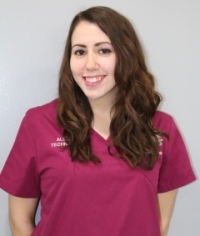 I have been at St. Charles for 2 years now and I look forward to meeting you and helping your pet with everything they need for the best possible care! Ever since I can remember, I have always known that I was meant to work with animals. I have been a vet tech for 4 years and I couldn't imagine doing anything else. Everyday is a new learning experience. I am honored to be part of the team at St. Charles Animal Hospital and always strive to provide you and your pets the best care possible! Prior to St. Charles, I spent several years working at an animal hospital that also did rescue work, so rescue is still very close to my heart. At any given time, you may find me with a litter of foster kittens! In my spare time, I also enjoy cheering on the Washington Capitals, ice skating, swimming, and spending time with my own cats and the "heartbeat at my feet", my dog, Serenity. 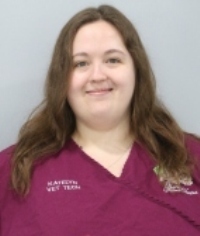 Technician Karen has been a veterinary technician for over 20 years. She started her career with the U.S. Department of Agriculture, in Beltsville, MD, working in the animal parasitology laboratory. She went on to study wildlife biology at the College of Southern Maryland and has worked for several animal hospitals in the area. 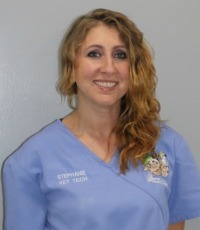 She has extensive experience with all types of animals in the veterinary medical field. When she is not at work, she is teaching a variety of sustainable living classes at the College of Southern Maryland. She lives with her family on her farm in Hollywood, where she has a mare, a Shetland pony, 2 Corgis, 2 Cats, a house rabbit and 20 chickens. Karen is an avid classical dressage rider and artist. 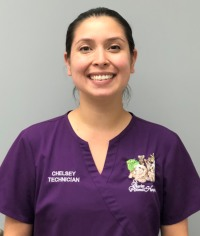 I am very new to the St. Charles Animal Hospital family and I can already say that I have never been so happy to work with such a devoted, friendly, and caring team of individuals. The entire staff truly makes the care and well being of every furry patient that comes in their highest priority. This is a standard that I also promise to provide for our clients and their pets. St. Charles has provided the opportunity for me to learn many new things everyday and to meet so many wonderful pets and their families! I have grown up around many animals and have worked with them for many years. I have been in the veterinary field as a technician for 2 years. Animals have always been a huge part of my life and I have always known that I wanted a career caring for them. Achieving that goal in my life has been amazing! Outside of work I am blessed to share my home with many creatures great and small, including dogs, cats, snakes, lizards, fish, chinchillas, degus, axolotls, and a hedgehog. My non-animal related interests include spending time with my significant other, and my awesome friends, watching Dr Who, and Marvel superhero movies/tv shows, and arts and crafts. Professional Groomer To Josie, snuggling your face into the clean and soft fur of your best friend is one of the greatest parts of owning a pet. That's Josie's specialty making your pet specially soft and clean. She has been grooming for over five years and loves growing relationships with dogs and owners every 6-10 weeks. Josie has three dogs: Clover the collie, Jigi the sheltie and Mark the bulldog, as well as her mother's three Yorkies who she considers her own. 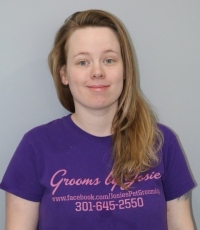 Josie enjoys spending time with her family, going to the movies and teaching her daughter to love animals. Hello, I am your kennel tech. I am here to help look after your pets, talk to them and feed them. I make sure they feel safe by leaving night lights and the radio on for them. I like to think of them as my own kids. I have been a kennel tech here for 25 years now and more to come. The team here are great and I wouldn't change a thing.